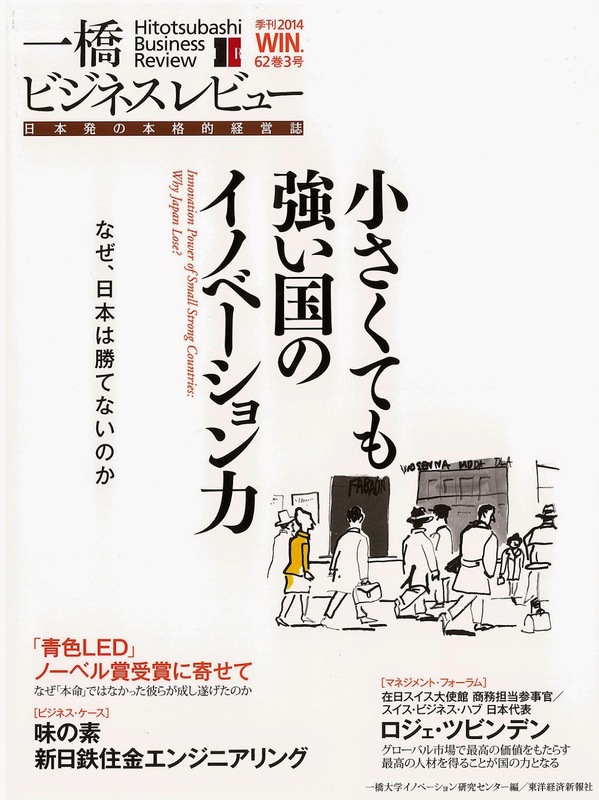 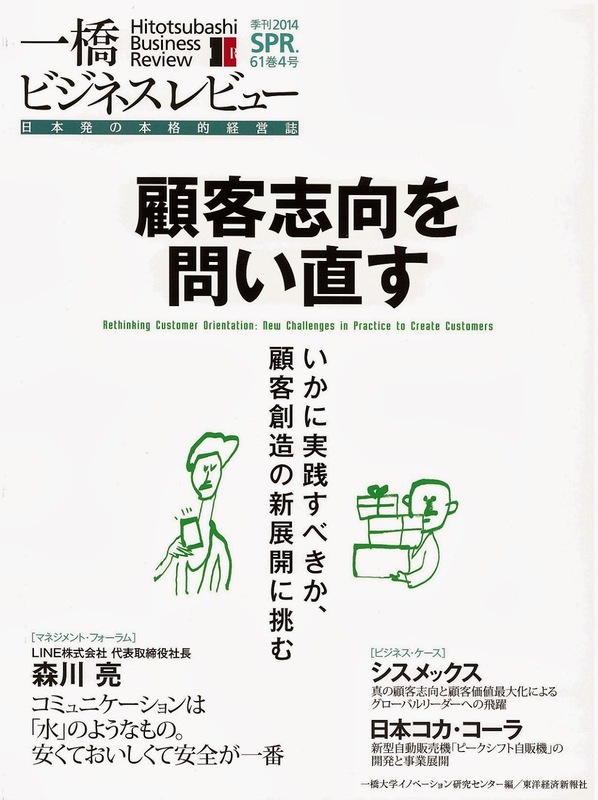 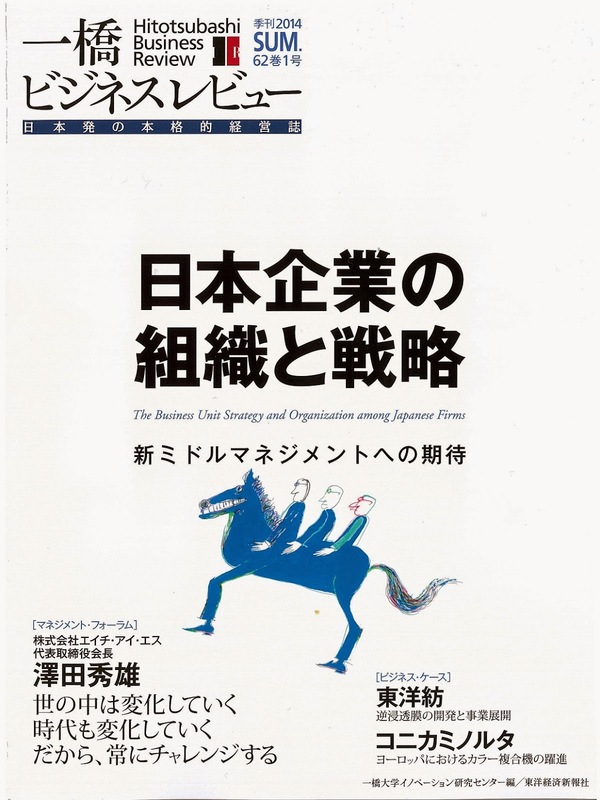 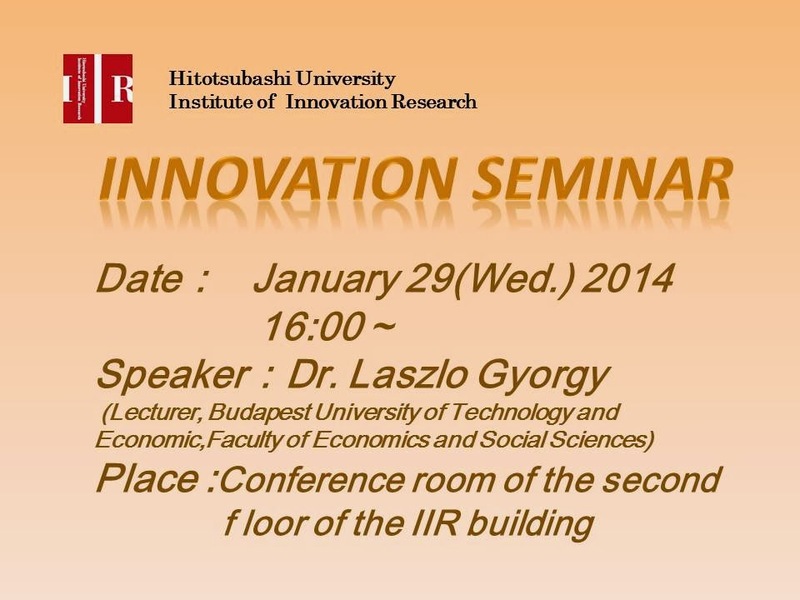 Innovation Power of Small Strong Countries: Why Japan Lose? 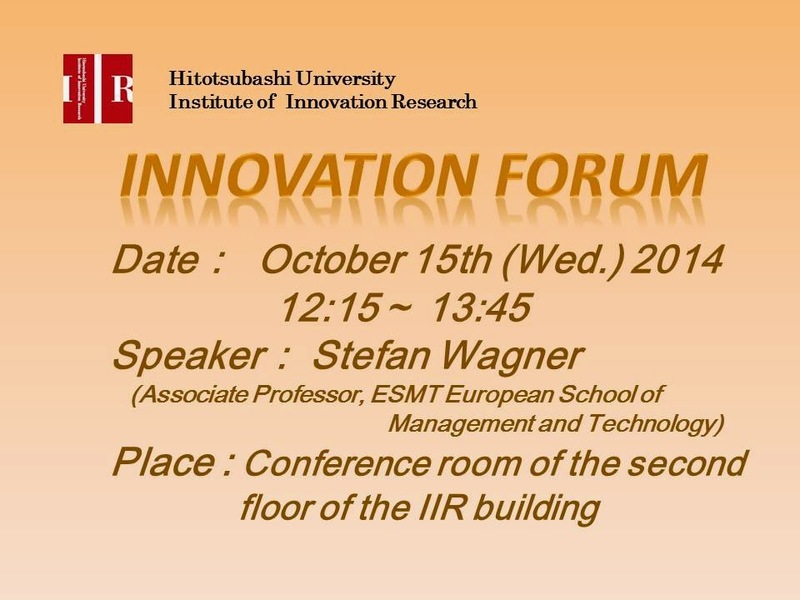 "Swiss Innovation Power Based on Human Skill Management"
"Institutional Sources of Innovation in Singapore: Similarity and Disparity with Finland"
"Danish Strategic Participatory Design Approach for Innovation and Creativity: Nordic Culture, Social Structure and Strategic Methodology for Its High Productivity"
"Food Valley in the Netherlands: Food Cluster of a Little Agripower"
"The Two Aspects of Israel: The Innovation State in Confricts"
Lessons from the Blue LEDs"
"Is Optimal Capital Structure “Optimal”?" 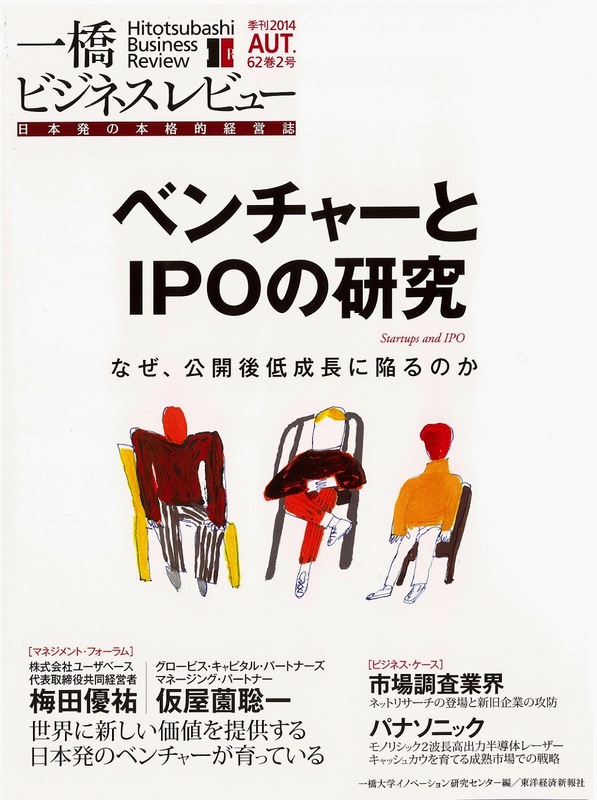 "Co-creating and Synthesizing Strategic Narrative"
"Ajinomoto’s Aminoindex: Collaboration and New Entry in Health Risk Analysis Services"
"Nippon Steel & Sumikin Engineering: The Challenge of Transforming a Collection of Different Business Units into One Company"
Startups and IPO: Why Do Japanese Startups Stall after IPO? 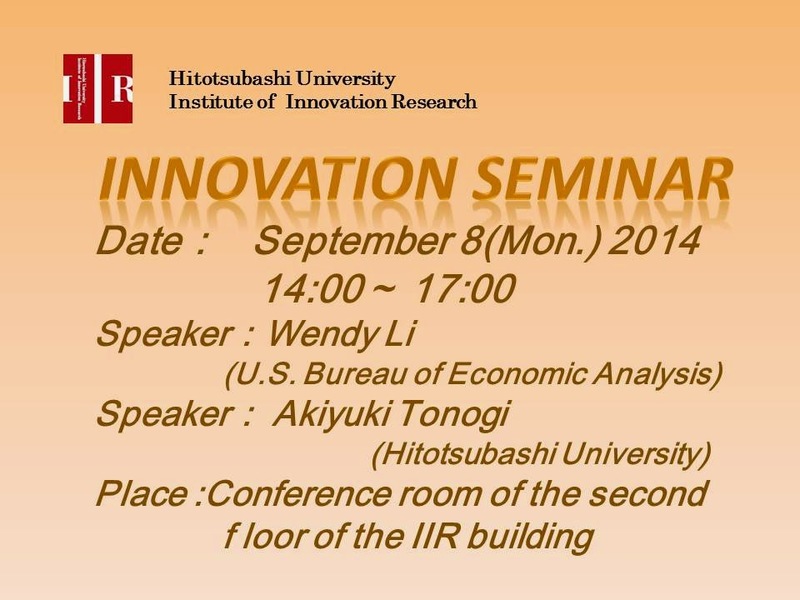 "Growth Dynamics of Firms after the IPO"
"The Impact of Managerial Ownership on Firm Value in High Growth Firms: An Empirical Analysis Focusing on Founder-CEOs"
"IPO Market in Japan: Current Situation and TSE's Actions"
"Japan's New Venture Business Policy: Programs for Fostering Entrepreneurship and Venture Ecosystem"
"Search for Corporate Venture Capital, Innovation, and Firm Value"
"Marketing research industry: The rise of internet research and competition among incumbent firms and new entrants"
"Panasonic : How to Grow a Cash Cow: Monolithic Dual Wavelength High Power Laser Diode of Panasonic"
Luncheon Key-note Speech on "A Perspective of Japanese Patent System"
Key note speech on "Patents and Diffusion: Global Drug Launches"
(1)"Quality Comparison of International Search Reports (ISRs) by Selectable International Search Authorities (ISAs) under the Patent Cooperation Treaty (PCT) System"
(2) "Effect of Early Patent Disclosure on Knowledge Dissemination: Evidence from the Impact of Introducing Pre-Grant Publication System in the United States"
"Institutional Configurations and the Cross-National Diversity of Corporate Governance"
"The evolution of new Industry, a genealogical approach"
"Comparing the Productivity Impact of Knowledge Spillovers from Network and Arm’s Length Industries"
"Disguised protectionism? 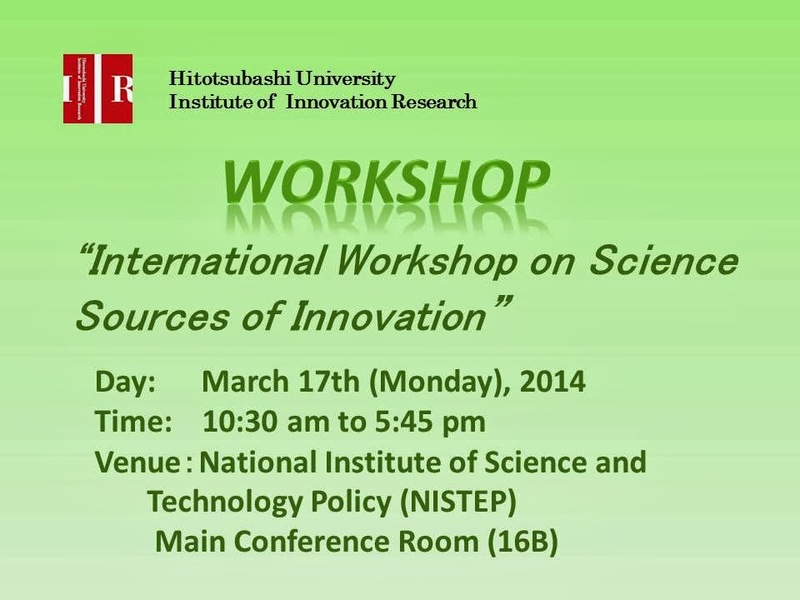 Environmental policy in the Japanese car market"
This research workshop focuses on the process of science based innovation as well as policies for promoting the synergy between the two. 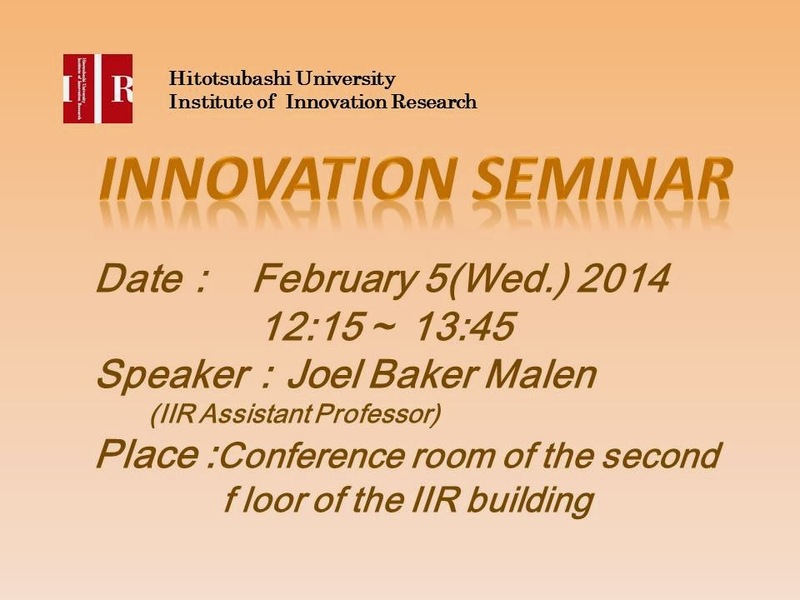 It invites a leading scholar on Innovation Economics, Professor Adam Jaffe, who is also currently the head of the Motu Economic and Public Policy Research. 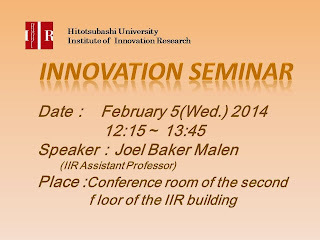 This research workshop first invites Dr. Jaffe to deliver a keynote speech on the “Capitalizing science for innovations: policy issues and research agenda” (provisional) in the morning session. 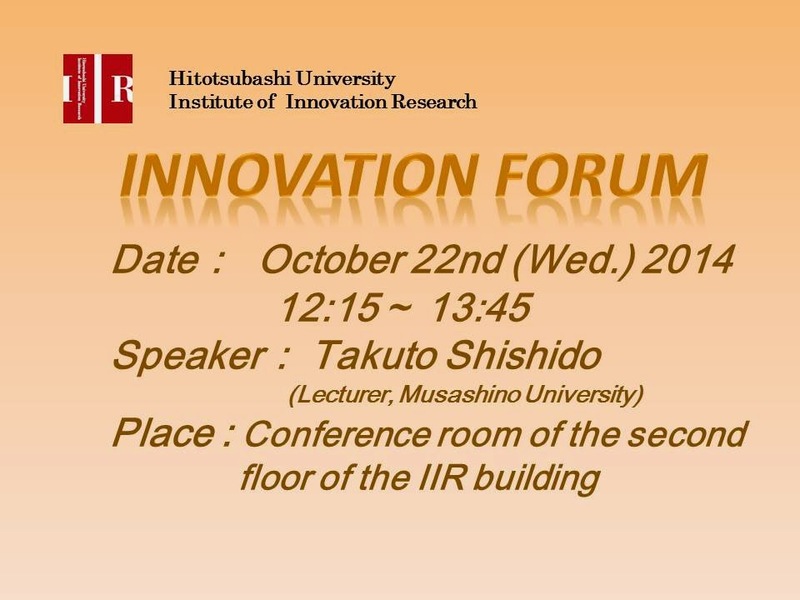 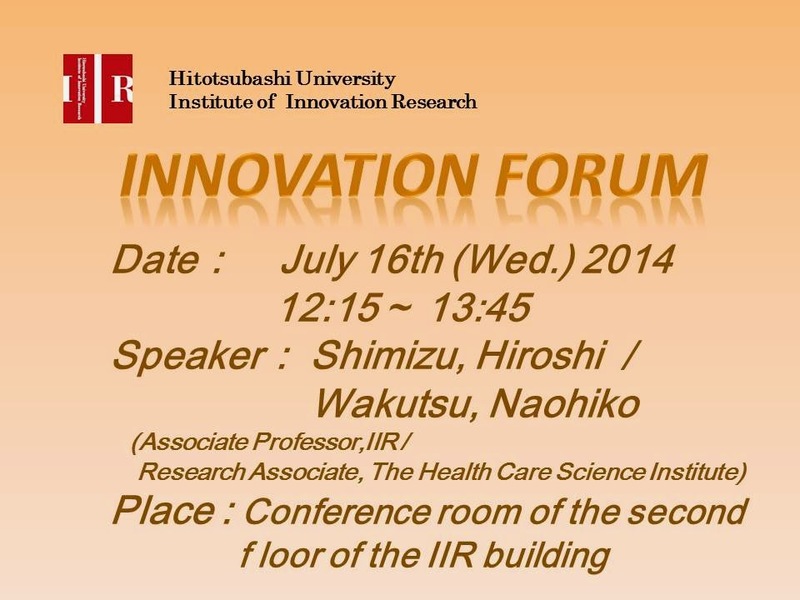 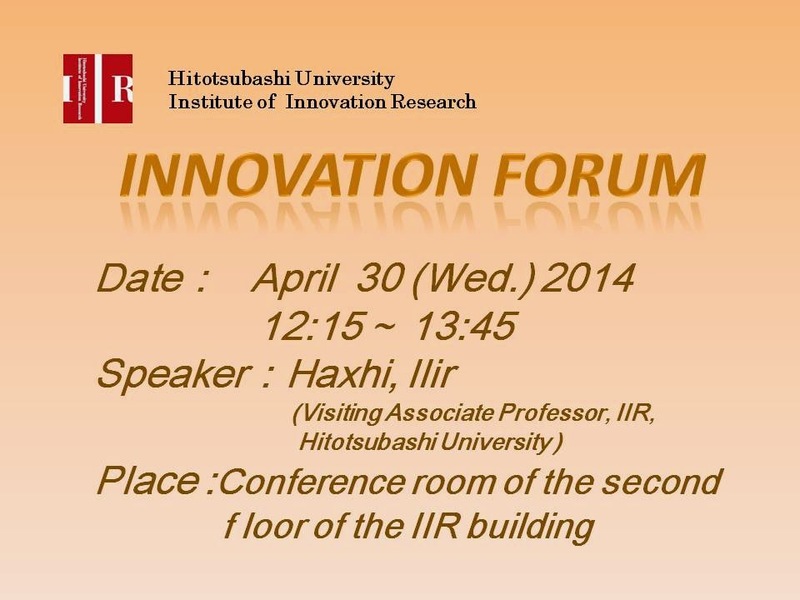 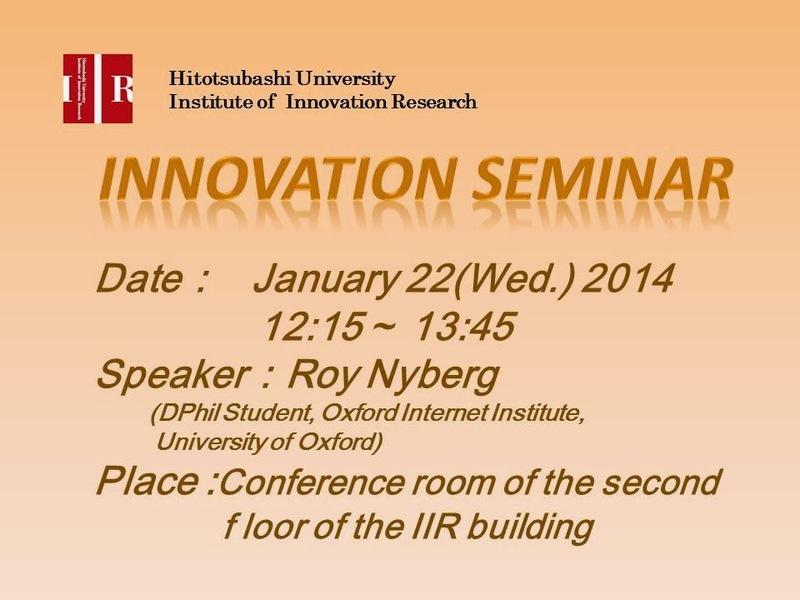 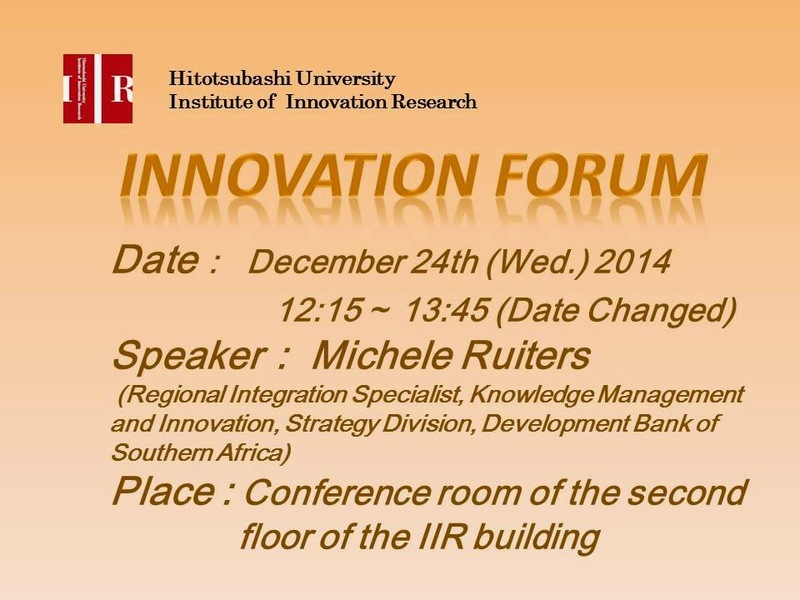 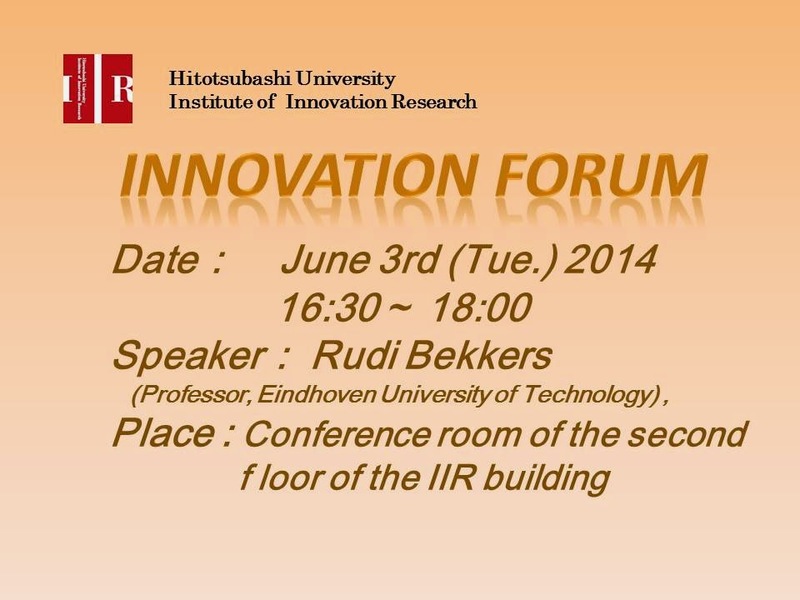 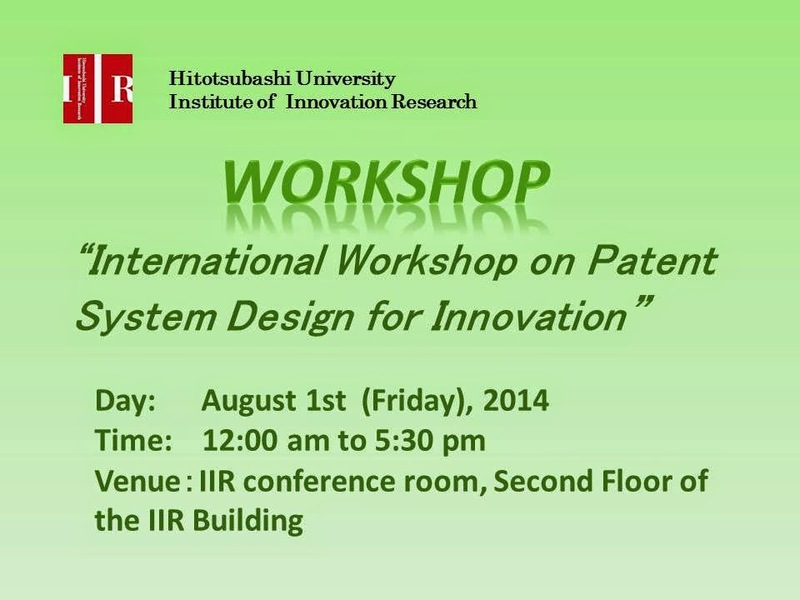 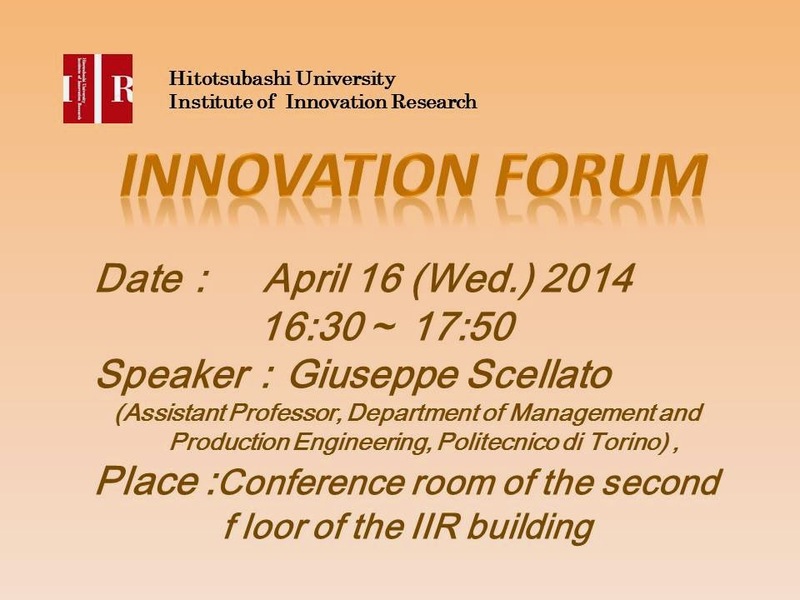 In the afternoon, there will be two sessions presenting the outcomes of three ongoing collaborative research projects on innovation process at Hitotsubashi University, NISTEP and RIETI: (1) Science sources of industrial innovations: evidence from corporate inventions and drugs launched in Japan, (2) Bridging science to innovations (evidence from science projects, and university and industry co-inventions). 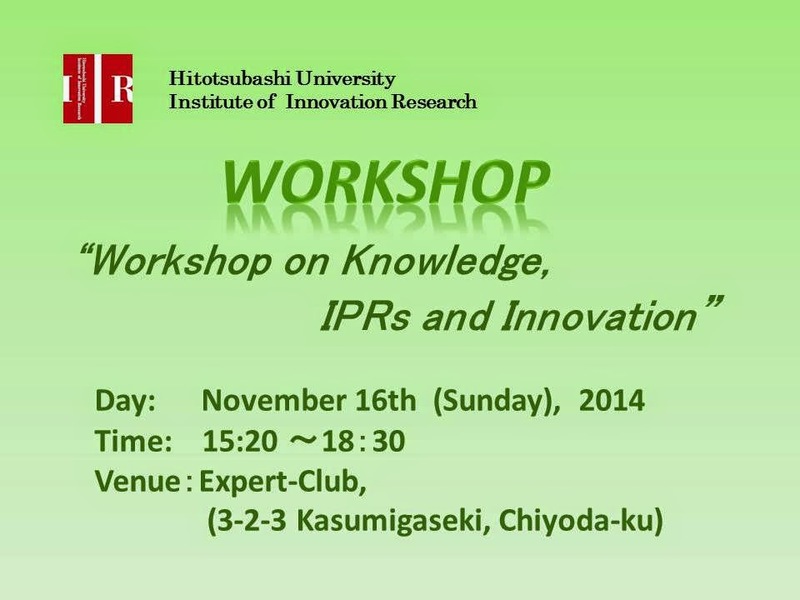 The presentations will be followed by discussions by academic scholars and policy makers, for identifying the potential policy lessons and the remaining research agenda.